When the Mortgage Bankers Association released the most recent MBA Quarterly Mortgage Bankers Performance Report, few industry professionals should have been surprised to learn that loan originators achieved the lowest average profit per loan since the MBA began tracking performance in 2008. Likewise, loan origination expenses were the highest recorded in any quarter since the Performance Report was created midway through 2008. How far has loan origination profitability fallen? The average per-origination profit among independent mortgage banks and mortgage banking subsidiaries of chartered banks in 4Q 2013 weighed in at an anemic $150, according to the MBA report. That’s down from $743 per loan in the third quarter. Meanwhile, loan production expenses increased by $591, to $6,959 per loan from the previous quarter. Certainly the drop in mortgage originations, approaching 40% for some of the nation’s largest lenders, along with the inclement weather much of the nation received earlier this year, contributed to mortgage bankers’ current financial performance. Coupled with the precipitous rise in compliance-related expenses the industry has been experiencing, the lending side of the mortgage business is feeling the squeeze. According to the MBA, lenders are earning only 7% of what they had been making just one year ago. Obviously, this is not sustainable. 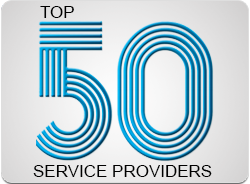 DocMagic named a Top 50 Service Provider for the 13th consecutive year! 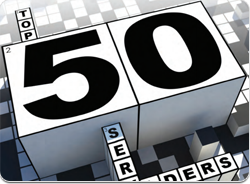 DocMagic is proud to have been named for the 13th consecutive year to Mortgage Technology Magazine’s annual list of Top 50 Service Providers. 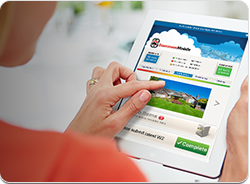 Many paths exist for lenders to adopt mobile mortgage technology. No one that deals with consumers in any industry can doubt the power of mobile technology. 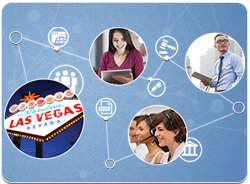 Mobile has been fully embraced by the majority of Americans and the result is quite visible. Just look at computing equipment sales in this country — PC shipments are down, and tablets and smartphone sales are skyrocketing. People want to take their computers with them wherever they go and they expect the companies they do business with to keep pace. While the mortgage industry has perhaps avoided this shift for a time — probably due to the complexity of the industry itself and its software — the writing’s on the wall. As consumers dive deeper into mobile, lenders will have to find a way to do business with them in new ways. As lenders explore this new requirement, they will do well to consider a few key points, issues that they will face as they begin to interact with borrowers in the mobile environment. 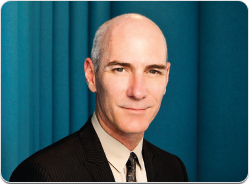 President and CEO, DocMagic, Inc. Lenders that are still operating in a paper-based world will be hard-pressed to survive. In the early days of the mortgage industry, there were no document preparation companies, as this type of service simply wasn't required. However, over the past three decades, document preparation has become vitally important - some would argue critical - in order to ensure smooth lender operations. 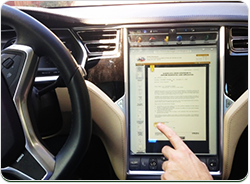 Let’s take a guided tour of the evolution of loan document production and delivery. The mortgage industry grew out of community building, local loan associations and farm lending, supported by the federal government, with the goal of expanding homeownership. In those days, home lending was like every other aspect of real estate: It was local. There were no national lenders - and those lending for real estate were funding deals from deposits and holding them in portfolio. However, there were a few institutions large enough to require help putting the paperwork together for a home loan. 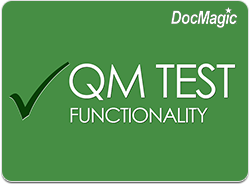 DocMagic, Inc., the leading provider of fully-compliant loan document preparation, compliance and eDelivery solutions for the mortgage industry, said it will roll out its new qualified mortgage (QM) test to its customers this month. The new functionality, based on the most recent rules handed down by the federal government, is in testing now with a select group of DocMagic clients. 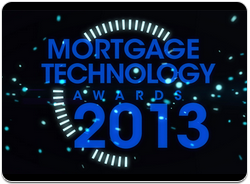 The votes have been counted and Mortgage Technology is pleased to announce the finalists for the 2013 Lenders’ Choice Mortgage Technology Award. The award is one of 12 that will be presented during the 14th Annual Mortgage Technology Awards Ceremony on Oct. 27, and it's the only category of the MT Awards where the finalists and winner are selected by mortgage banking executives. The Lenders’ Choice Award commends the technology provider that offers the best customer service, value proposition and overall user experience, as voted on by the companies named to the 2013 Top Tech-Savvy Lenders and Servicers list. Mortgage lending and servicing executives were asked to rank their top three mortgage technology providers based on their combined evaluation of the three metrics. MT's editorial judges panel then assigns point values to each vote — first place votes are worth three points, second place votes are worth two points, and third place votes are worth one point. The judges then compile the point totals derived from all the votes to select the finalists.